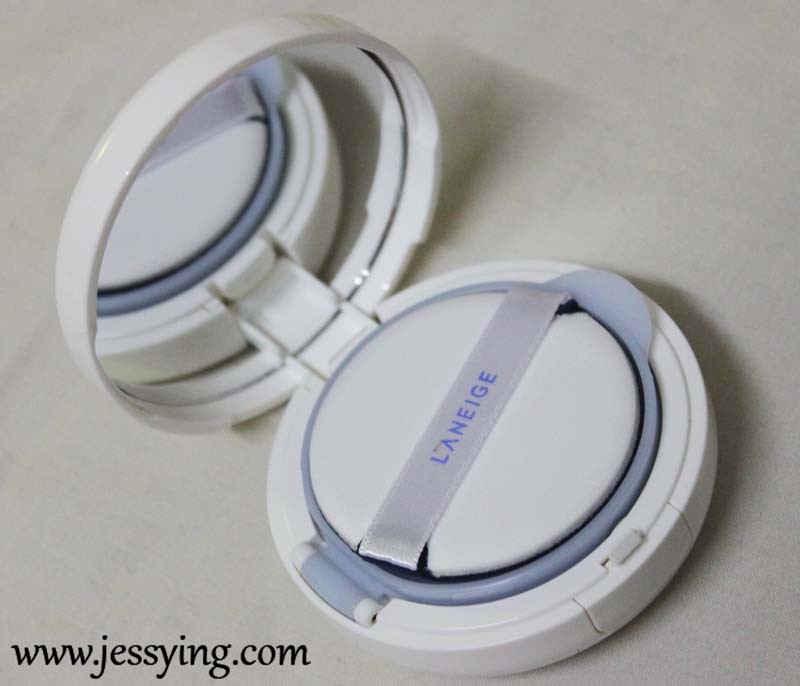 Laneige has recently expanded their BB (blemish balm) line, and their new addiction to the existing Laneige Snow BB Cream and Laneige Snow BB Essence Balm is the NEW Laneige Snow BB Soothing Cushion SPF 50+ PA+++ foundation. p/s: I am quite curious why another + sign was put after SPF 50, I wonder if there is any meaning to it ? 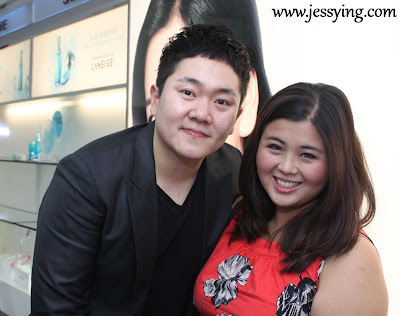 I was invited to the blogger preview like 3 weeks back where the Laneige’s International Visiting Makeup Artist Mr Steven Lee was there to share his latest tips and makeup techniques. It was an interesting session as Mr Steven himself was quite humour and was generous in sharing his tips during our hands-on session! Each box of the Laneige Snow BB Soothing Cushion SPF 50+ PA+++ foundation comes with 2 refills of same shade and each refill carries 15g. 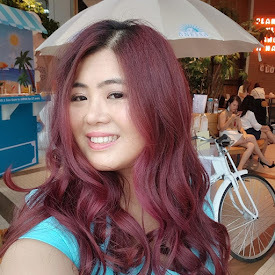 I am glad that Laneige introduced a total of 3 shades from brightest 21 (natural beige), 23 (sand beige) and darkest 31 (brown beige) because finally I do not need look like a ghost after applying them. Laneige Snow BB Soothing Cushion SPF 50+ PA+++ is a BB product hat comes with a special cushion containing the BB liquid. The cushion is designed using the air pump technology. The air pump in the cushion contains bubbles that functions to disperse a thin layer of BB liquid onto the skin with just a light pat. I was told my face temperature will instantly cool by at least 3 degree celcius immediately after patting with the puff. 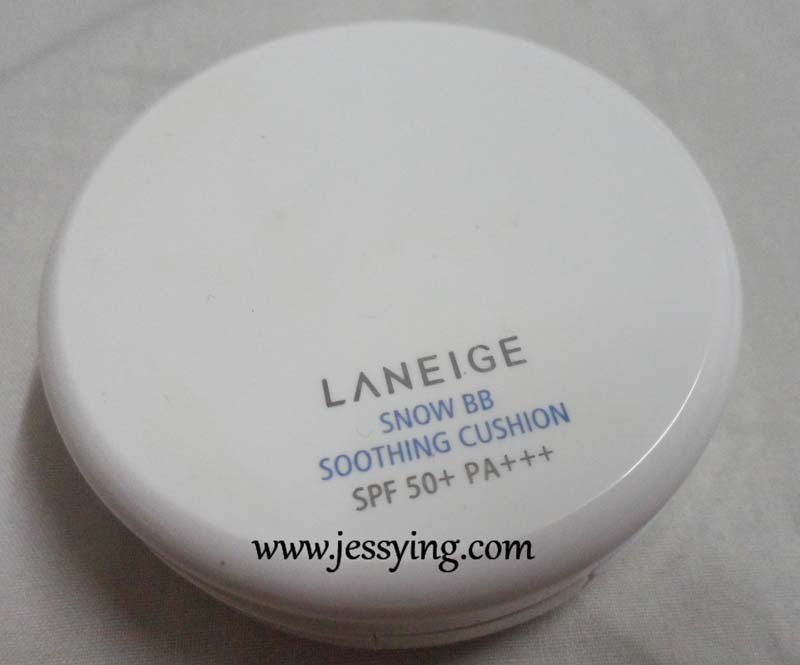 Laneige Snow BB Soothing Cushion SPF 50+ PA+++ comes with a special puff. p/s: I love the mirror that comes with it too ! 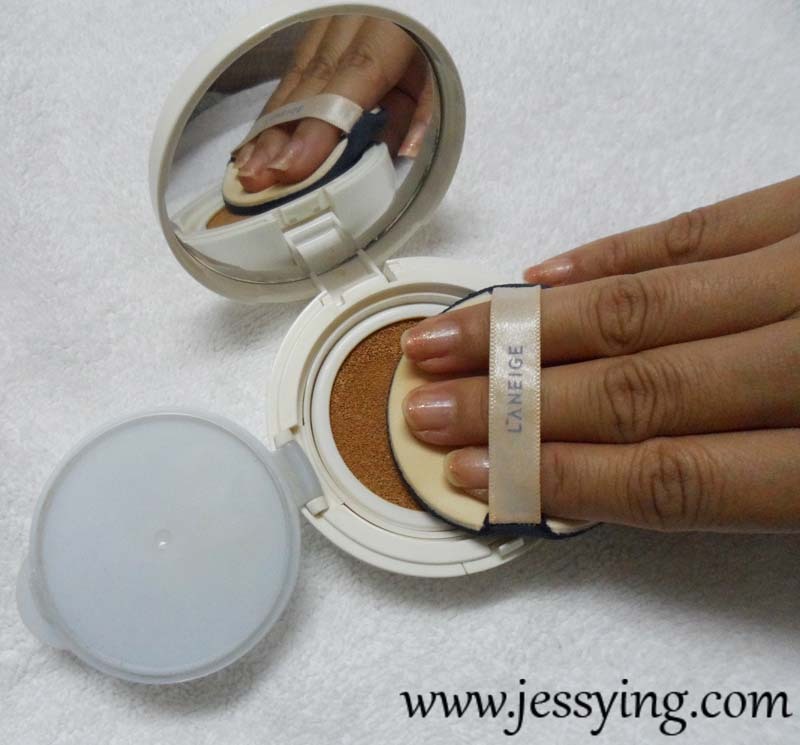 Foundation, puff and mirror all in a compact = perfect ! 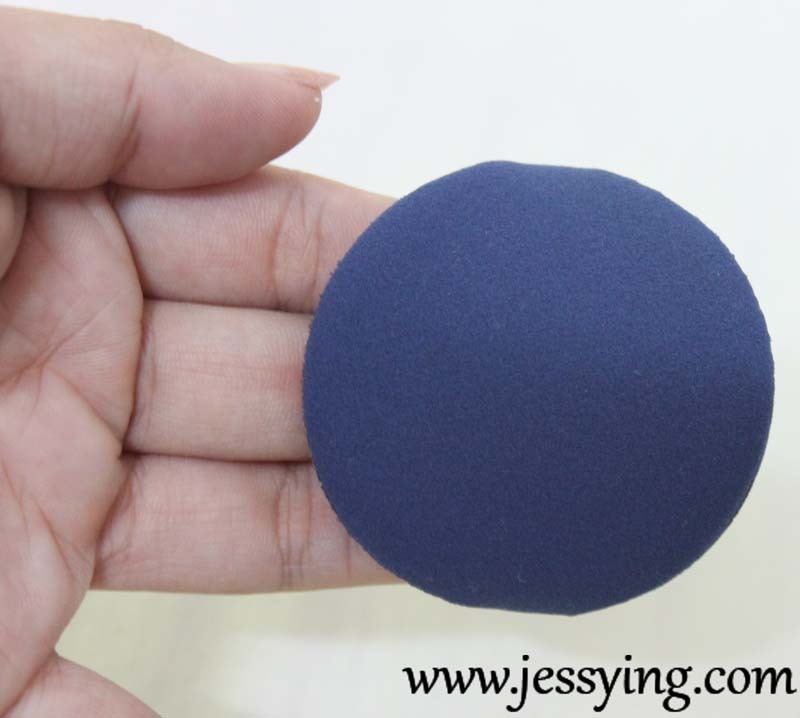 This special puff is designed to absorb less moisture than any ordinary puff so that the face stays refreshed. 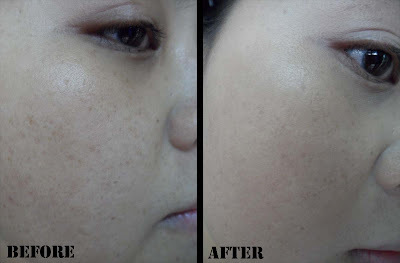 Upon application, it gives the skin a refreshing soothing and cooling sensation. Keep the puff clean at all time and gently massage it to lukewarm water with neutral detergent or puff cleanser to wash it. Rise throughly until the detergent is washed away, squeeze out moisture and dry completely in cool dry place. This way you will be able to use it for an extended period of time. 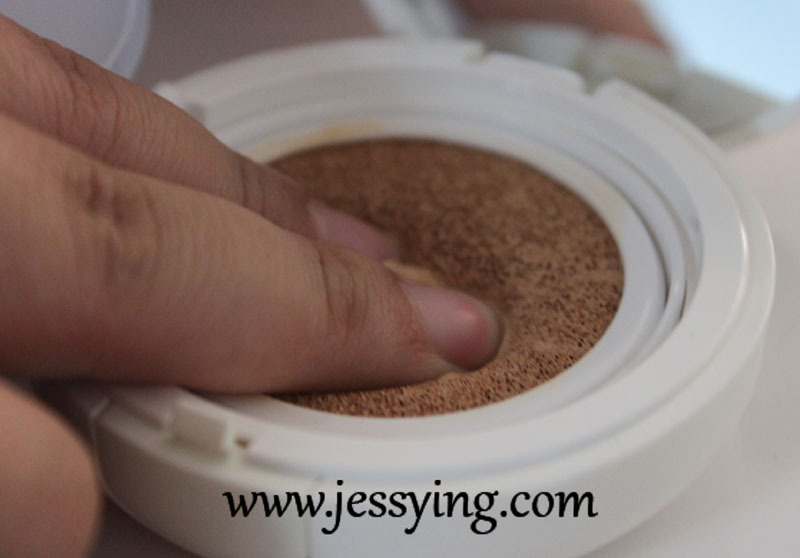 The puff and cushion are in two seperate containers to preserve the acrive ingredients ad their functionality. 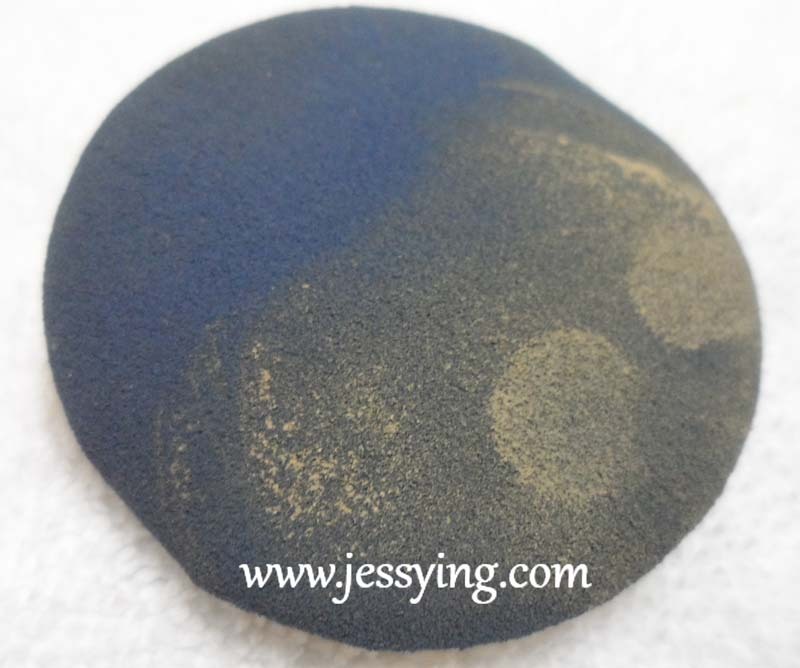 This product is formulated with five active ingredients namely Silymarin Bead Tree and y-PGA for a whitening and moisturizing effect, Mineral Water to provide cooling refreshing sensation to the skin, and Sun Protection ingredients. Let me show you a comparison before and after using it. 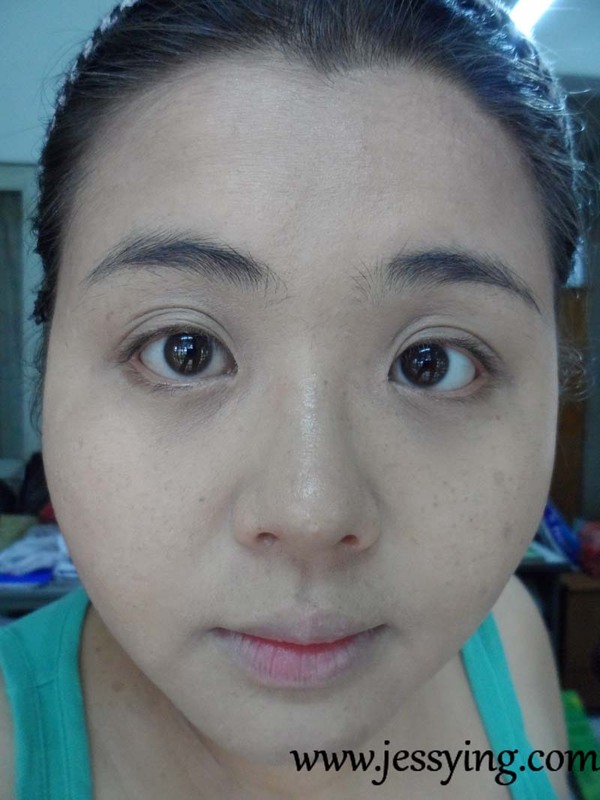 All these pictures are without any touch-up. 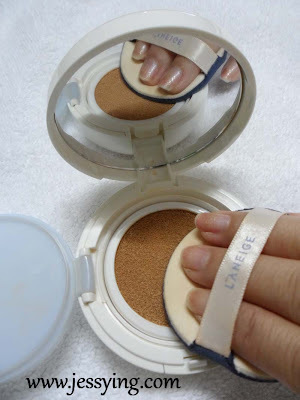 The recommended method of using this Laneige Snow BB Soothing Cushion SPF 50+ PA+++liquid foundation is that you must use puff to pat on our skin build up the foundation evenly. Mr Steven said that in order to create glowing look, we should dab a bit more of Laneige Snow BB Soothing Cushion SPF 50+ PA+++ foundation on our temple, nose and cheek area. 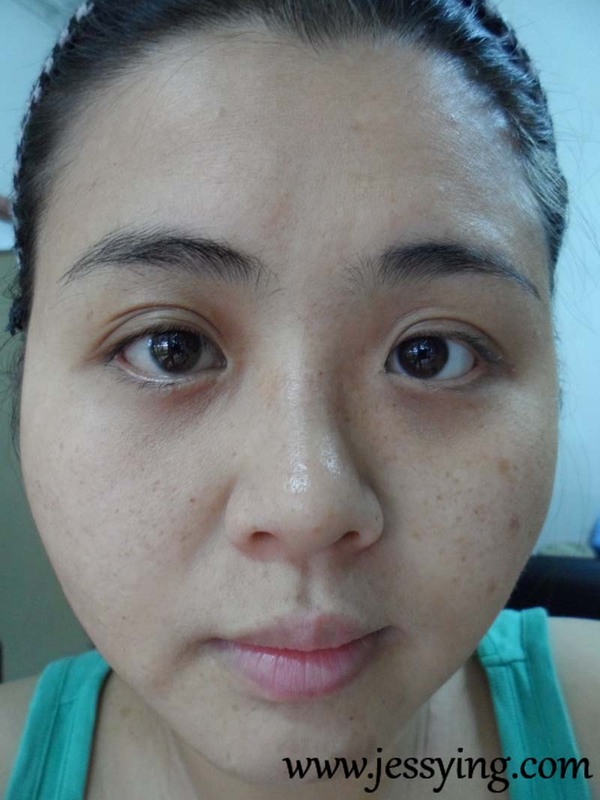 Review : I can see Laneige Snow BB Soothing Cushion SPF 50+ PA+++ immediately brightened up my skin complexion and gave me an an even medium coverage where some of the pigmentation and spots are properly covered/hidden with just one layer of application. It wasn't sticky & actually quite long lasting after setting it with loose powder. I put this to a try, by applying this on the morning before I went to Kuala Selangor for an outdoor activity with Tourism Selangor and after all those activities under the hot sun, I must say Laneige Snow BB Soothing Cushion SPF 50+ PA+++ foundation stays pretty well on my skin even after the outing and I could now say that it is really sweat proof! I tried Laneige Snow BB Soothing Cushion SPF 50+ PA+++ foudation using the recommended method which is using the special puff and pat on my face my face and I did feel the cooling sensation instantly for the first few second. And when I used to apply directly with my fingers I do not feel the cooling sensation at all. Applying with the puff needs a little more of technique because the foundation that picked by the puff is not even and need keep dabbing to build up the foundation. I have master the technique of using it after a few tries and now it is so easy to apply that I am falling in love with it! Laneige Snow BB Soothing Cushion SPF 50+ PA+++ is selling a set at RM145 with one extra refill at all Laneige's counter nationwide. Kim : you means the refill how long will it lasts ? As long you make sure cover properly or else dry out very fast. You will get 2 refills when you purchase this. Each 15g, so total 30g . Thanks for the review. I always want to get the new Laneige. Lots of them are coming out now but due to the price being to high I'm reluctant to get them unless I know they are good. Wasn't really expecting such a good coverage AND lasting power from this foundation :O, definitely need to try.